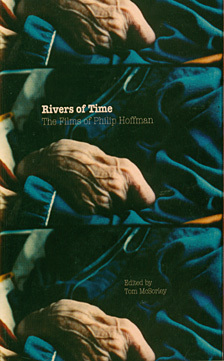 Download Rivers of Time as PDF. Published by the Canadian Film Institute, 2008. All rights reserved. The lake is calm, like a great sheet of ice. its sharp edges shaped by the rising sun. I like wrecked bricks, the points pierce my eyes, sending me hurling in space. Was not containment but participation. These films are a circle of stones. Embedded in each is the world, reaching deeply into the past, rolling on..
Philip Hoffman has been making personal documentary films for over twenty years. He has devoted his life to examining the narrow aperture each of us uses to bring our own experience into focus. As many of the writers in this volume will attest, telling personal stories is dangerous work. 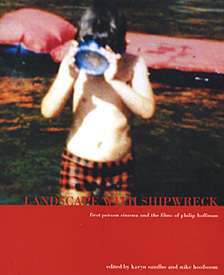 Landscape with Shipwreck is an untidy stew of gravediggers and critics, architects and builders. In their conversion of pictures into words, each has used the history of their own naming as compass and guide. These photographs and scripts speak alongside the written word, not to fill in the gaps but to deepen them, not to make the strange seem more familiar, but to turn towards the secret task of this volume: to write what cannot be written. To write what must never be written. To uncover a kind of writing that is beside itself, and without regret.